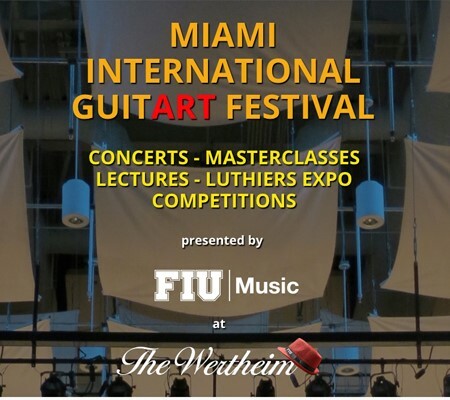 The Stocker AstroScience Center presents a Benefit Concert for the Miami International GuitART Festival, featuring guitarists Mesut Ozgen, Celso Cano, Felipe Carvajal, James Webb, and soprano Rebecca Benitez, as well as the FIU Miami Guitar Orchestra on Saturday, November 7, 2015 at 7pm. A wide variety of music will be performed from classical, Latin American, Spanish, Turkish, flamenco, and acoustic guitar repertoire. Seats are limited, please RSVP to webbj@fiu.edu. You can also sign up on the Facebook Event Page. The fundraiser event will start with a reception at the 1st floor exhibition hall in the Stocker AstroScience Center ASTRO 101 at 7pm and the concert will start at 8pm. After the concert, you will have a chance to meet the artists and join tours of the observatory, control room, and visual observing with telescopes, including the wonderful 24″ automated telescope if weather permits. For the complete sponsorship packages with benefits and other support opportunities, please go to Support MIGF.